My husband and I have always taken our lunch to work. Doing so is a great money-saver and is often an ideal way to ensure you’re eating healthier. Lunches out get terribly expensive; these days, I can count on spending at least $10-$12 at a restaurant for lunch unless I grab fast food. Plus, eating heavy meals with lots of sugar and carbs in the middle of the day does not help me work very well throughout the afternoon. I do much better with a sandwich, salad, and some fruit. I’ve found, though, that packing your lunch for work is so much easier and economical if you have the right tools on hand. There’s nothing worse than packing something only to have it leak all over your lunch box or have the container melt in the microwave. These are my criteria for choosing items for my lunch box: I need containers that are easy to wash, pack and carry. I need an insulated lunch box or bag because while I do use our fridge at work for storage, sometimes my lunch is out longer on the commute. I need heavy-duty ice packs that will stay frozen and cold for a long time and that won’t leak blue goo all over the lunch box. I want to stay away from wasteful plastic sandwich bags and use more glass and BPA-free reusable plastic. Finally, I need some smaller containers for sauces, dips, dressings, and condiments because I LOVE my toppings and trimmings. I need a handy way to make sure anything liquid doesn’t ooze out all over my lunch box. 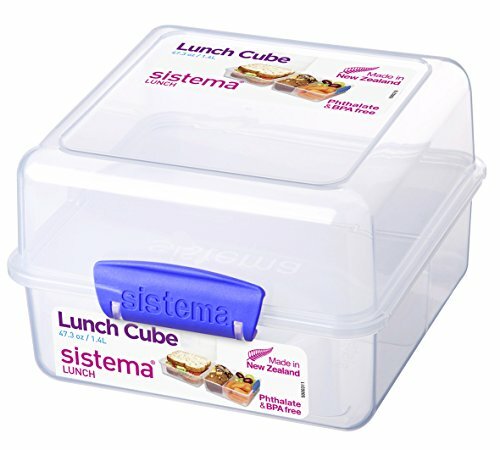 My husband has a lunch box similar to this one. 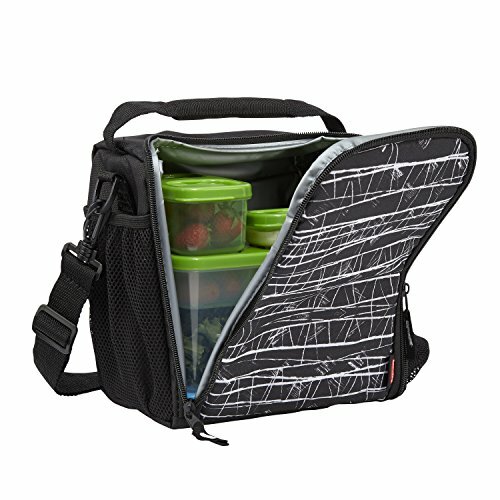 It’s nice and roomy with mesh pockets and to hold silverware or an ice cooler pack inside and a water bottle on the outside. The adjustable shoulder strap is so handy, especially when your bags are full and can’t hold a lunch box or your arms are full and can’t hold your lunch by the small handles alone. These ice packs are flat and sealed well around the edges. 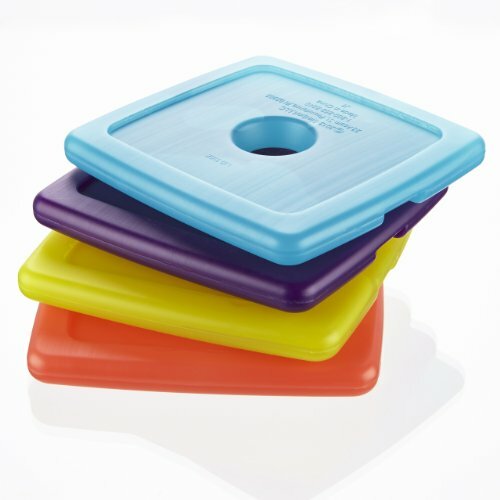 For years we used the larger blue block ones, only to have them leak blue goo all over our lunch boxes, food containers, and hands. These ice packs fit beautifully inside the mesh pockets inside the lunch box, won’t swell when frozen, nor will they leak. 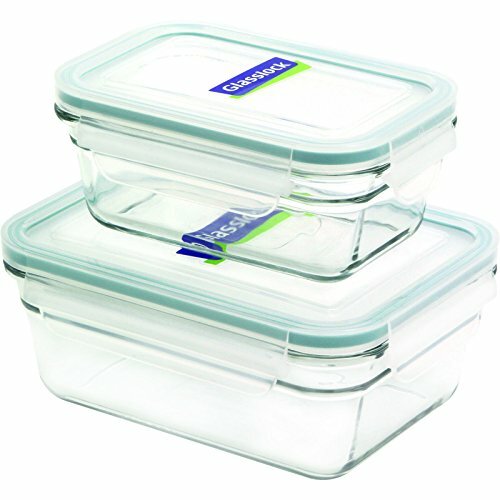 Dressing-to-Go 3-Pack Containers, Refrigerator, freezer and microwave safe. What’s a salad without dressing? What’s a burger without ketchup? Nothing, in my culinary opinion! These little silicone dressing containers are so easy and they don’t leak! 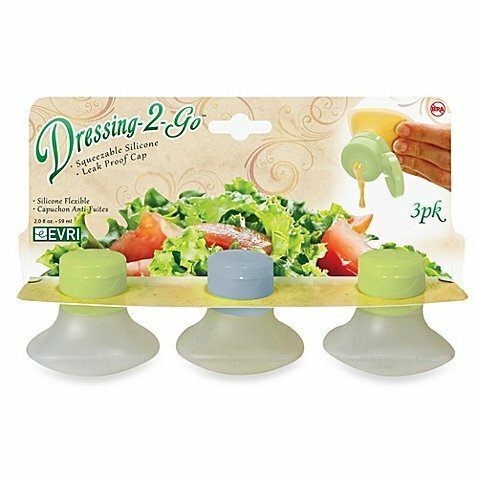 Dressings and condiments come out nicely because their shape makes them easy to squeeze, plus the cap removes easily for washing but goes back on just as easily. And did I mention, they don’t leak??? These are amazing for storing leftovers and then dropping right into your lunch box. The glass container is oven safe and the plastic lid is BPA-free. It locks down and does not leak! Just this week, my lunch bag was unzipped and my entire lunch fell out, onto the floorboard of my van. I found my cheddar chicken chili upside down in my Glasslock container. Not one drip of the chili spilled at all. The seal on this lid is amazing! I use this container everyday. It’s perfect for a sandwich, fruit, and chips. It has 3 different compartments to keep foods separate but latches all together for easy use and carry. This one container replaces 3 plastic sandwich bags. This water bottle is fantastic. The mouth is wide enough to accommodate most ice cubes yet small enough not to spill all over you! It has a silicone sleeve for better grip and a loop for easy carrying. The top pops open with a one-finger button press, but there’s also a locking switch so that you don’t accidentally hit it and open it. Another money-saving tip here! 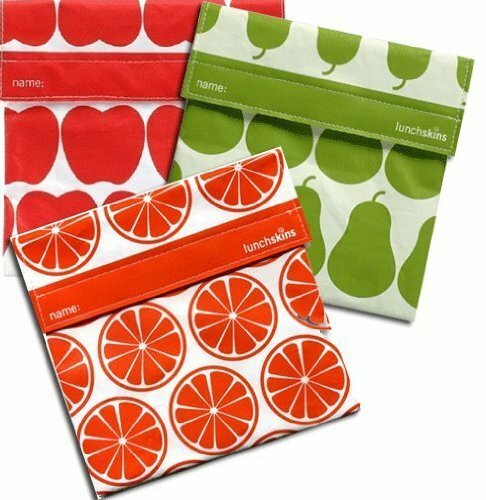 These reusable cloth sandwich and snack bags will go the distance and replace hundreds of plastic baggies over the long-term. What’s super cool, too, is that they are dishwasher safe, so just pop them in at night when you unload your lunch box. Plus, they’re super-cute, too! These lunch box items make taking your lunch so much easier and help you establish the habit that’s better for your body and your purse! I’d love to hear what your favorites are? 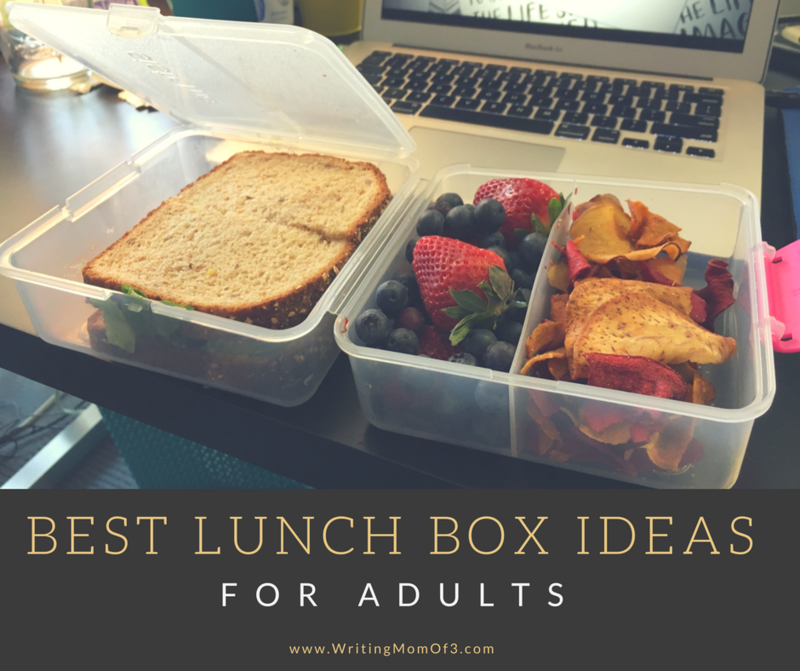 What are your best lunch box ideas for adults? In an ongoing effort to find ways to stop wasting money in our household, I recently took a long, hard look at the grocery budget. 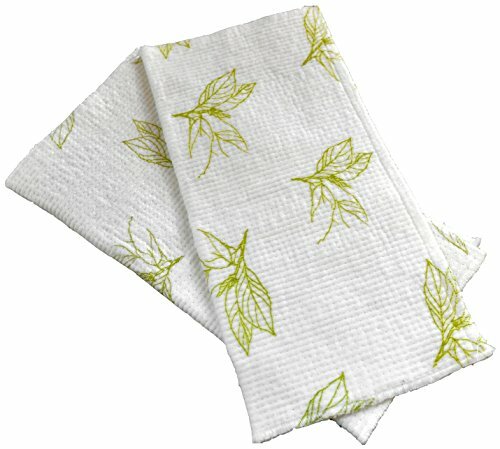 As I tried to think of how to save on paper towels, I realized that I needed to give reusable cloth paper towels a chance. Our family has been addicted to paper towels. A drop or two of water on the counter? Paper towel. Cover for the plate in the microwave? Paper towel. Dry hands? Paper towel. I estimate we were spending about $20 each month just on paper we were buying to we could throw it in the trash. Truly — think about it — what benefit do paper towels give anyone? 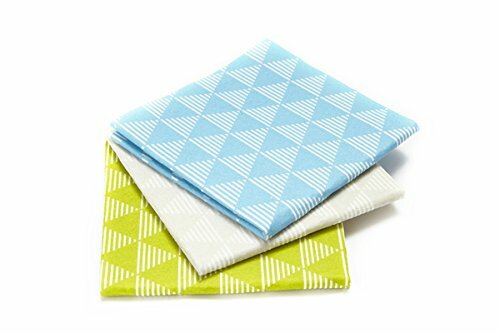 I found some affordable, absorbent, and durable reusable cloth paper towels for us to try. My husband wrinkled his nose when I responded that we were going paper towel-less after he mentioned that we needed more paper towels from the store. He grunted but reluctantly agreed to give it a try. I asked for just two weeks. We’re now about a month in and we’re not looking back! 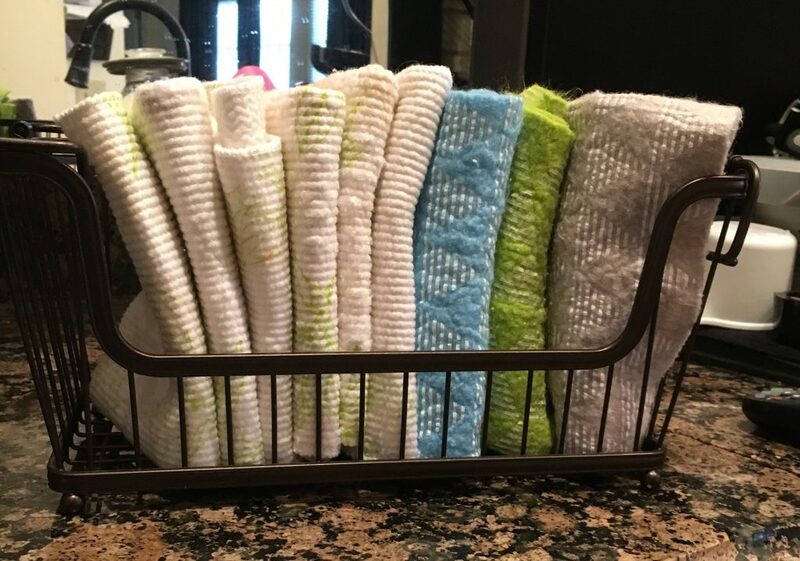 These Full Circle Clean Again Super Absorbent Cleaning Cloths are my favorites! They come in packages of 2, so I bought 3 packages. They are heavy duty and hold up when wet. So far, they have done well with jobs in the kitchen and the bathroom. I also got these larger Full Circle Pulp Friction Kitchen Home Cleaning Dusting Cloths. They’re better suited for dusting or wiping up thicker messes. They aren’t terribly absorbent (at least not like the Cleaning Cloths), but they do well on “dry” jobs. Once a cloth has been used for a few jobs, I’ll toss it in the laundry room for the next wash. They launder well. We keep our cloth stash in a handy wire basket on the kitchen counter where everyone (kids included!) are reaching for a cloth whenever they think they need a paper towel. Our basket of reusable cloth paper towels on our kitchen counter — ready for use! 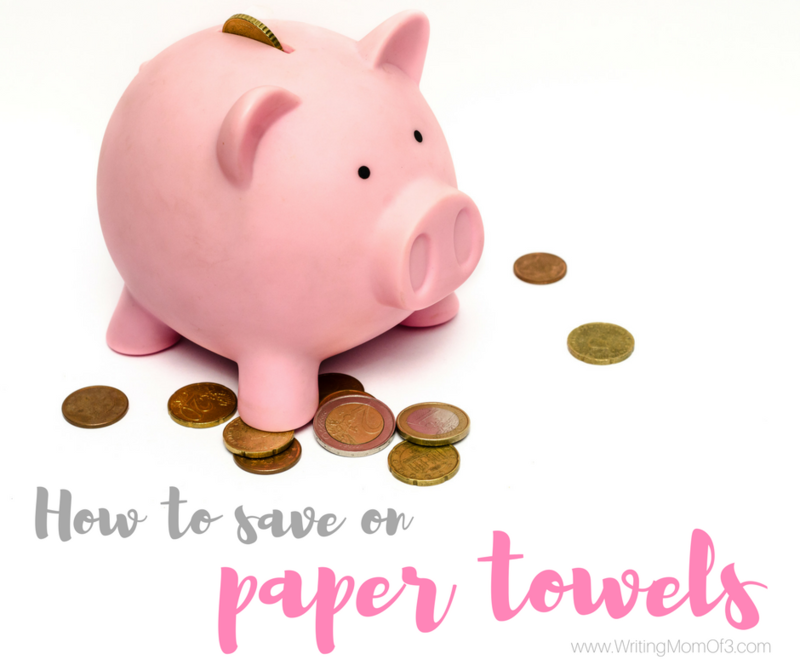 What are your best tips for how to save on paper towels and other wasteful items in your household? My Facebook feed this week has been filled with friends bemoaning the last year. Apparently, it’s been hard for a lot of people — filled with stress, sadness, and hardship. The Bernard family has had our share of challenges, too. So — I’m excited about the new year ahead! 2017 is gonna rock, and we’ll encourage one another to make it the BEST year yet. Where do you need encouragement for a great year? In what area do you most struggle? How can I help you? Is it spiritual discipline? Is it health? Relationships? Job and money? Stress and anxiety? Whatever it is, I want to work with you and encourage you to help you THRIVE in 2017. Join me beginning January 1 on my blog Facebook page for a happy new year 2017. 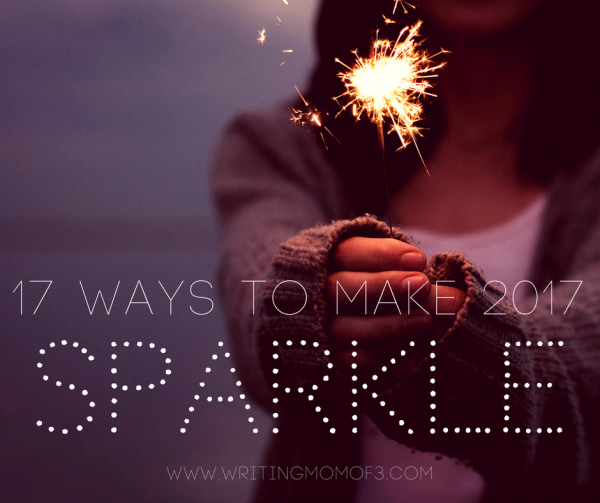 I’m going to take the first 17 days of January to share 17 ways to make your 2017 *SPARKLE*. 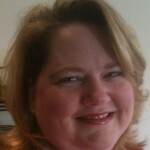 I’ll post a brief video each day to share some ideas and encouragement. Make sure you LIKE and FOLLOW my Facebook page so you can join the fun. Because we all need more *SPARKLE* in our lives, right? Some days just feel so — well — ordinary. Get up, dress, eat, work, clean clothes and dishes, tuck everyone in, sleep, and then do it all over again the next day. I’ve spent much of my adult years whining and upset about the fact that I haven’t yet done anything “extraordinary.” The year I turned 40, I was depressed for six months because I felt that all my “best years” were behind me and I had little to show for it. Do you ever feel that you’re just “ordinary” — nothing extra special with little to offer? I do. Here’s the truth of the matter, though. We are “ordinary,” in the sense that we are the created, but the desire — that longing for something bigger and greater than ourselves — is not wrong. The desire for greatness in fact points to a greater reality (it’s the whining and complaining and self-centeredness that’s wrong and for which we must repent). God in his wisdom and mercy uses the ordinary to do the most extraordinary things! Think about it; that is his primary mode of action today. The Bible talks of all the “ordinary” people he called into his service. He uses men and women to affect change. So I’m not surprised at all that he chose the most ordinary of ordinary humans to first notify of Jesus’ birth. After all, Jesus himself became so very ordinary — being born as a helpless baby to a young couple in a barn — that I dare say we should expect nothing else. That brings me joy, indeed. 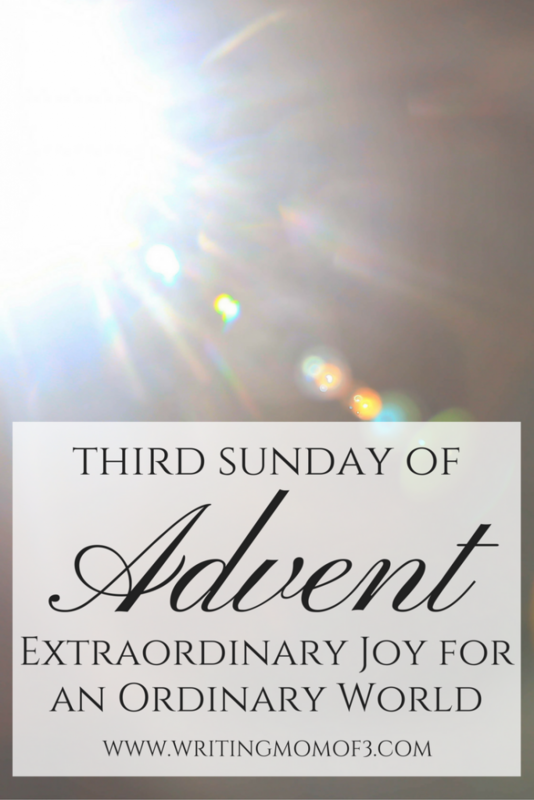 This Sunday is the Third Sunday of Advent. You can light the third candle on the Advent wreath and lead the family in a brief time of worship as suggested below. 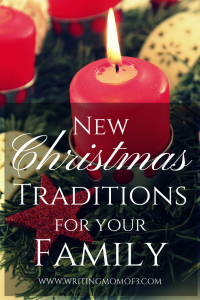 For more ideas for celebrating Advent and Christmas with your kids, check out my new free ebook, A Different Christmas This Year. Gather around the Advent wreath. Briefly explain how shepherds were regarded in Jesus’ day: People didn’t like shepherds very much. They thought they were dirty and lowly. They considered their job kind of gross: they were in fields for a long time with smelly sheep. But God chose to reveal Christ’s birth to the shepherds first! He didn’t go to the Kings and Queens or even the church leaders. He chose ordinary people to receive the news. 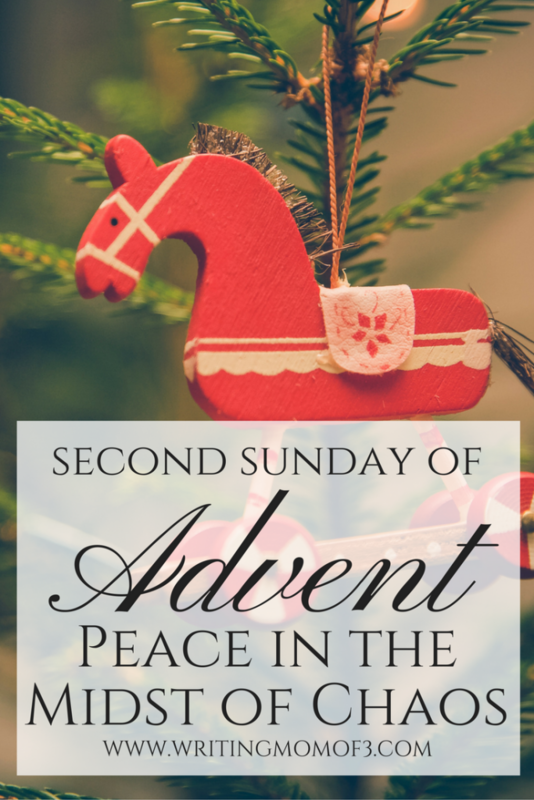 Why is it significant that God chose to reveal Christ’s birth to the shepherds first? Why should that give us joy? It’s not even December as I write this, but our holiday season has taken off like a rocket ship launched into outer space. This week alone, we have daily wrestling practice, soccer practice, two wrestling matches, two basketball (cheer) games, cheer practice, dance class, youth group, band practice, all-day band event at school, and a soccer game. That doesn’t even include dental appointments that I had to cancel because who has time for oral hygiene and dental care? Chaos. How, why are our lives so crazy? How in the world do we even enjoy Christmas? The other thing we aim to do is light our Advent wreath and have a brief time of family worship most nights of the week. I’ve also subscribed to receive a daily Advent prayer from one of my church’s pastors. You can sign up, too, if you like. Click here. It’s hard to stay on track and out of the insanity this time of year. It is super-hard — not gonna lie. But it is our goal. My heart is screaming for simplicity. Really — there’s a t-shirt (or three) for every activity, event, club, competition, team, and game at my kids’ school. Not to mention tumblers, socks, lanyards, and hoodies. Choice fatigue is everywhere, and I am so sick of it. It’s one reason why I love shopping at Aldi. For most items, there’s one brand and a size or two. Period. Decision made. Our culture is cannibalizing itself on excess in just about every sphere. Hundreds of TV channels, blogs, and social media sites scream to inundate us with connection and entertainment. If our kids want to dance or play a sport, they need not limit themselves to a couple of hours a week. No – they can, literally, devote more time (and money) to their extracurricular life than some folks give college studies, part-time jobs, and marriages. Our culture is a sea of excess. The mentality is that if “a little” is good, then “a lot” must be great! But I think this is a dangerous lie that is detrimental to us in many ways. We have insatiable appetites. When we are fed on less-than-satisfying fare, we remain hungry. Munching on popcorn and cotton candy is oh-so-delicious for a time but ultimately leads to a greater depletion and more hunger. Then when we survey all the beautiful offerings at the carnival stand, we are fooled into thinking that this or that shiny treat will satisfy. All of the attractive choices and options in our culture only make us more needy, less fulfilled, and take us farther away from true satiation. We are distracted to the point of paralysis. All of these choices make me lazy and motionless. When I have so many seemingly “worthy” options for spending my money, my free time, and my energy, I often choose a convenient distraction or get lost in a mindless activity that deceptively promises to fill me up. In my life, this distraction is the ultimate disrupter to an abundant life lived with and for Christ, which means the Enemy is all too pleased. Distraction keeps me from doing the things of God, including worship and service. Just because we can doesn’t mean we should — or that it’s good for us. Our choice culture — which includes 8 different brands and styles of toilet paper or 10 different combo meals that can be ordered “your way” in any size you’d like — perpetuates a destructive lie. We believe that we are living full and abundant lives, but the cycle of discard/upgrade/customize is actually a wicked mirage. It’s a never-ending give and take that bankrupts its victims in every way. Have you experienced this? Are you weary of simply making decisions? Are you tired of trying to juggle everything? Are you sick of buying junk to contain your junk? I know I feel suffocated. I want simplicity. Our family feels a little bit “stuck” right now. We feel the tug of the world to join in the craziness — to buy into the delusions that “things” and activities are the keys to fulfillment. Where is true fulfillment? Who ultimately satisfies? Who became nothing so that we can — TRULY — have everything? The answer is in Christ. When we die to self, and seek him, we find rest, peace, joy, and contentment. That’s far more satisfying than anything a super-sized meal deal can offer. There’s not one season that I’d want to face without essential oils. But I especially can’t imagine summer oil-less! 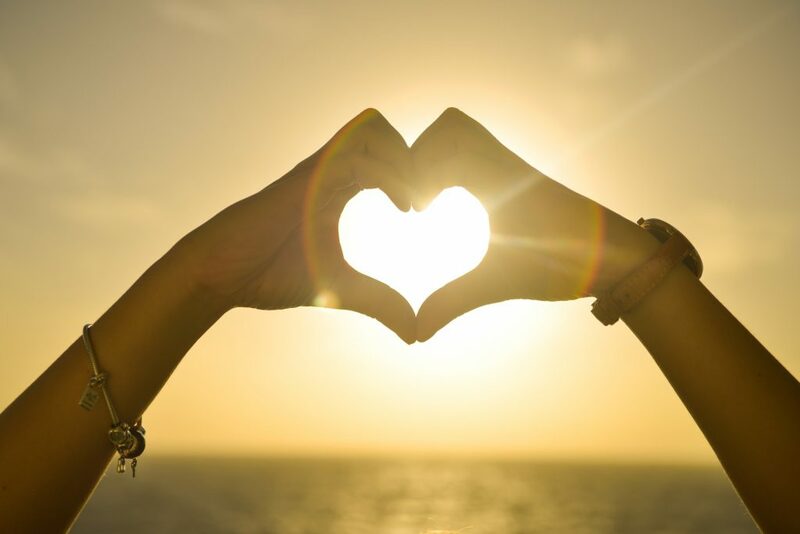 I’ve come up with seven reasons why I especially love my essential oils during the summer months. 1. 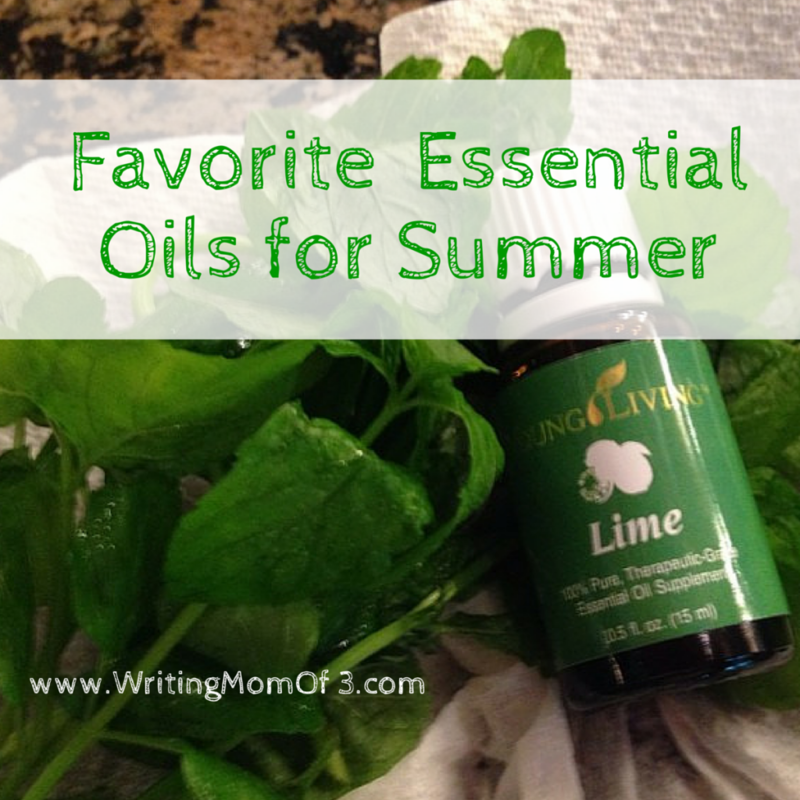 Lime essential oil is a favorite in all my summer recipes. I make margaritas, mojitos, guacamole, fresh salsa (with garden-fresh tomatoes and cilantro), limeade, and lime cake with my beloved lime oil. Yum! 2. Melaleuca essential oil helps your feet stay clear of any yuckies you may pick up at the swimming pool or in the communal showers at camp. I know; it’s gross to think about, but it’s not nearly as bad if you’ve got Melaleuca on hand. It’s also great for any scratches and owies. 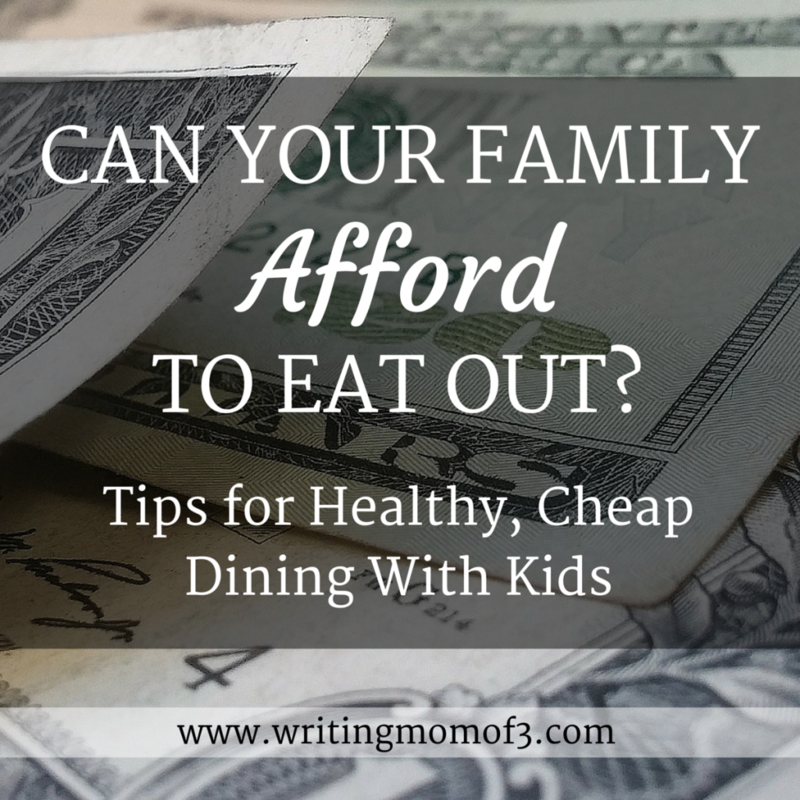 Can Your Family Afford to Eat Out? Disclosure: I received a complimentary lunch at Zoe’s Kitchen in exchange for a review on social media. All opinions are my own. Can your family afford to eat out? For our family of five, dining out is super-expensive. Unfortunately, we have limited options within our budget that would qualify as “good food.” Even a fast food meal for us totals in the $30-$40 range. That’s why I was so excited to learn about Zoe’s Kitchen‘s new Mediterrean Family Meals. 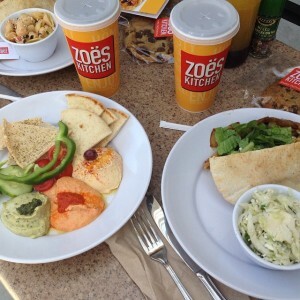 For that same $30 – $40, our family can eat a much healthier and much fresher meal at Zoe’s. Plus there’s a LOT of food in a meal—hopefully enough for leftovers for lunch the next day. 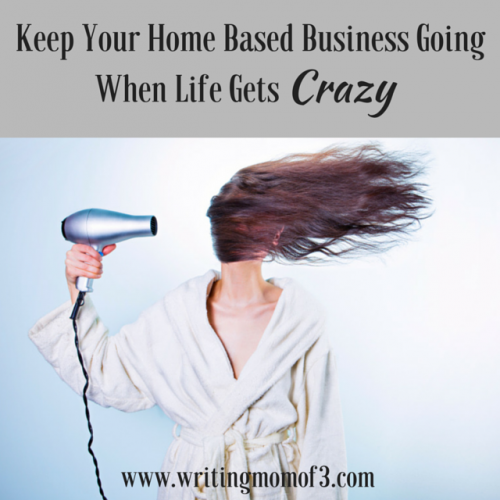 Living our lives to the fullest—that’s one reason why we’ve decided to have a home based business, right? Whether you’re freelancing and contracting with clients, representing a product in a direct sales company, or managing your own website selling goods or services, you appreciate the flexibility to do what needs to be done on your own schedule. I consider it a blessing to be able to be home when my kids are home from school in the afternoons. I love having the flexibility of being able to rearrange my day to attend a mid-day honors program or help set up and decorate for my daughter’s band awards night. I guess there’s always a flip side, though, right? 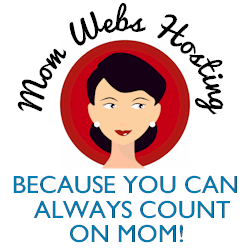 I have been writing a blog since 2008 and I have worked as a blog editor/manager and ghost blogger since 2009. 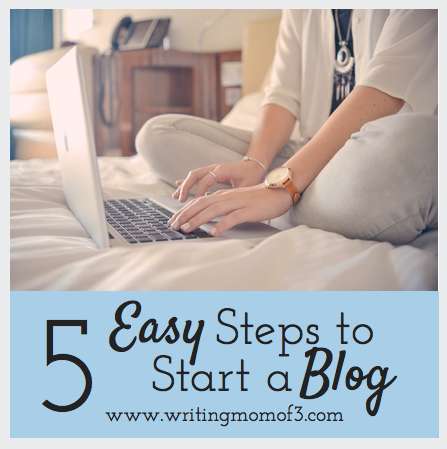 Every week or so, I have someone ask me about how to start a blog. 1. First, decide where you see the blog going—will it be for hobby or for profit? Would you EVER want to make money on the blog? Even if you don’t think you’ll want to make money on the blog, I believe you should set up as if you did. Here’s why.